Colorful eye-catching lessons will make math your child's favorite subject with Horizons 4th Grade Made Student Book 1 from Alpha Omega Publications. This brightly illustrated consumable elementary math curriculum is fast-paced and well-structured. Engaging homeschooling math lessons in this Alpha Omega curriculum include concepts such as recognizing and writing numbers in the billions; knowing prime and composite numbers; adding and subtracting up to 6-digit numbers with borrowing; reviewing time, time equivalents, and time zones; reviewing the metric system; defining ratios, and more! But that's not all! After every 10 lessons in this student workbook, your child will take a comprehensive review test to prevent him from carrying any misunderstood concepts into future lessons. What's more, perforated pages make it easy for your child to tear out each day's worksheet to proudly display completed homeschool work on the refrigerator or wall. 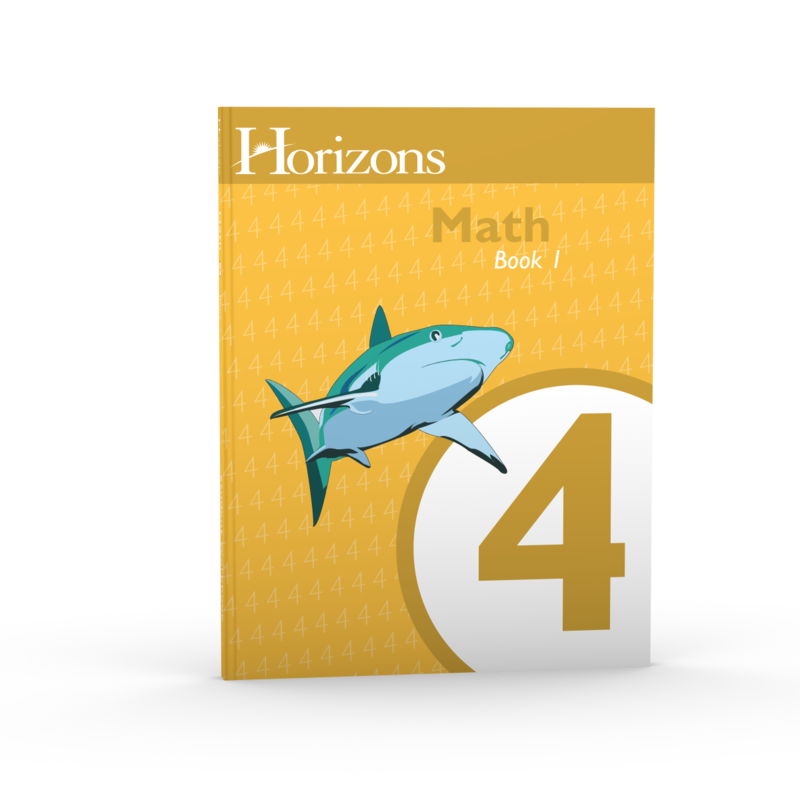 Without a doubt, you and your child will enjoy the superior quality afforded by the Horizons 4th Grade Math Student Book 1. Discover this amazing, award-winning math curriculum for yourself. Add a copy to your shopping cart today!